Sugar Free Gum With WINTERGREEN. 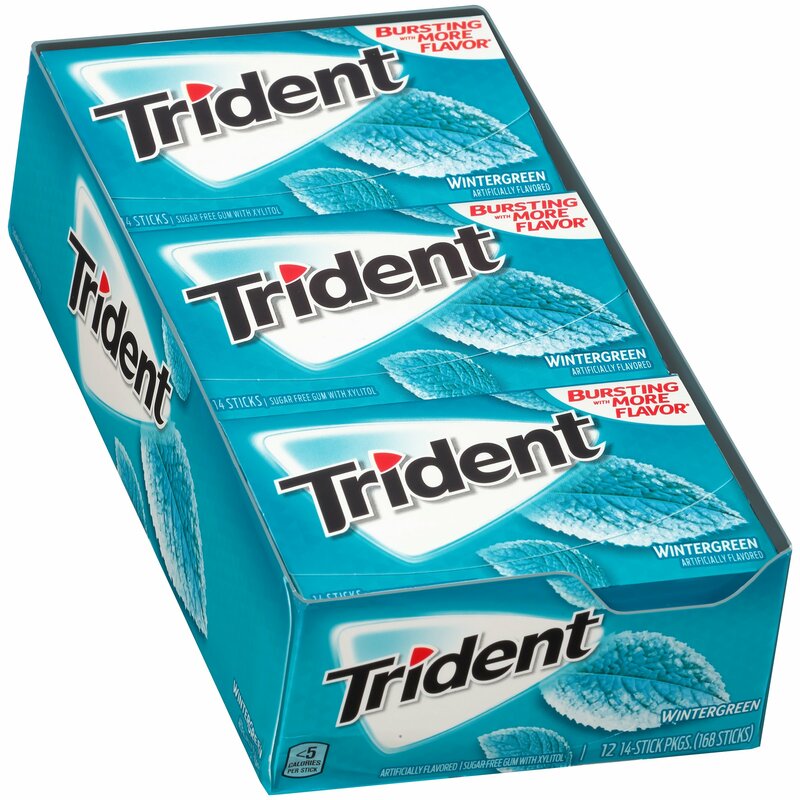 Order TRIDENT 12 CT WINTERGREEN in bulk at wholesale price at Volt Candy Online. Pop a piece of mouthwatering Wintergreen Trident for a refreshing taste that keeps going as long as you do. This order includes 12 18-stick packs of Wintergreen Trident Sugar Free Gum. Pop a piece of mouthwatering Mint Bliss Trident for a refreshing taste that keeps going as long as you do. This order includes 12 18-stick packs of Mint Bliss Trident Sugar Free Gum. Chewing Trident after eating and drinking protects teeth.